Seattle Business magazine editor Leslie Helm pens a family history of mixed heritage. When reporter Leslie Helm (editor of Seattle mag’s sister publication, Seattle Business) began the process of adopting a Japanese baby in 1991, he had no idea that his quest to have children would lead to an intimate acquaintance with his forebears. 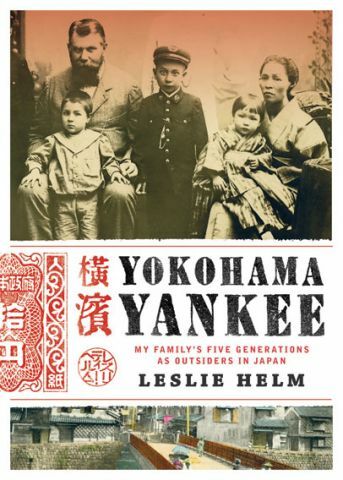 In his new book, Yokohama Yankee: My Family’s Five Generations as Outsiders in Japan (Chin Music Press; $16.95), Helm traces his history back to his German great-grandfather, whose search for a new life landed him in Japan in 1869, where he took the unorthodox step of marrying his Japanese housekeeper. Helm’s extended family has lived in Japan ever since. With a narrative derived from old letters, diaries and recent interviews, punctuated by lovely vintage photographs, postcards and illustrations, the book offers a highly personal view of the immigrant and ex-pat experience. While the continued intertwining of American, German and Japanese families—links forged through genetics, customs, circumstances, laws and twists of fate—is a running theme, at the heart of the memoir is a story every family can relate to: that of love lost and found, through the generations.